Why Should I get a Bachelor's in Education? A degree in Education is the type of degree people obtain when they hope to work within the school system, public or private. An education degree not only prepares the holder to teach students, but to also meet curriculum standards over time. A degree in education can be gained at all levels, Bachelor's, Master's, or Doctorate. The degree can also be in a range of subject areas. In addition, a degree in education can be highly specialized into a single subject area or grade specific degree. Elementary educators will teach usually teach grades K - 6, Middle school teachers 6 - 8, and Secondary teachers 9- 12. There are also positions for Preschool and Adult Education. Someone who holds a degree in education may become a teacher, academic coach, principal, education specialist, board member, professor, and more. Different jobs require different levels of degree with principals, academic coaches, and professors typically requiring a Master's or Doctorate. In addition, most teaching and administrative positions require the appropriate certification or credentials. In early times, children were educated at home and a full education was considered complete after only a few years. Over time, the views on education have changed. Compulsory education is now required until a certain age or until graduation with a proficient amount of knowledge as set by standards. Students are now educated in private or public institutions by highly qualified and trained individuals. A Bachelor's degree in Education can come in the form of Elementary Education, Secondary Education, Early Education, or Adult/Post-secondary Education. Within each Bachelor's Degree are also subject specific specializations. This may include basic subjects, electives, or even special education. In order to begin obtaining a Bachelor's Degree in Education, one must prove graduation from high school, offer acceptable ACT/SAT scores, and complete an application for a college with an accredited Education program. Before admittance to the actual education program, a clear background check and passing scores on a Basic Skills Exam in reading, writing, and math are needed.The Basic Skills exam can usually be fulfilled by taking the Praxis Core test or another Basic Skills test provided by the state. The average length of time needed to complete a Bachelor's Degree in Education is between 3 and 5 years with a full course load of two semesters a year. A Bachelor's Degree in Education that leads to a teaching license can help with immediate employment. Even if a full time job is not immediately obtained, a teaching certificate will allow the holder to substitute teach, tutor, or work in a public, private, or other school type setting. A Bachelor's Degree in Education that leads to a teaching license can help with immediate employment. Each state has their own requirements for certified teachers. Use the map below to help you understand the requirements for your own state. This course provides hopeful teachers the opportunity to examine and learn the appropriate use of 21st century tools for the classroom. This course provides the study of the theories and principles of psychology that have influenced instructional practices. 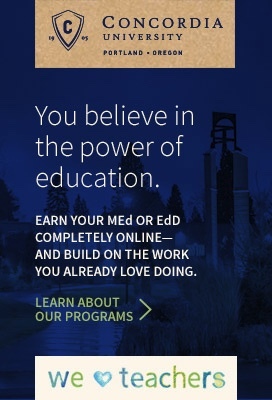 Click on the links below to expand information on other related bachelor's degrees in education and see details on degree requirements and courses needed. Interested in earning a Bachelor's Degree in Child Development? Getting a Bachelor’s degree online or in person in Child Development can be a smart move. A degree in Child Development can lead to jobs in fields such as day care worker, teacher’s aide, or camp director. This type of degree can also be part of a teaching degree or lead into a Master’s program. Get more information on earning a Bachelor's Degree in Early Childhood Education. A Bachelor’s degree in Early Childhood Education can lead to a promising and fulfilling career as a preschool teacher in a public or private setting. This type of degree can be earned online or in person, though programs will vary as to what type of classes are offered. Earning a Bachelor’s that leads to a teaching certificate can be a great step toward a career in working with young children. A Bachelor’s Degree in Elementary Education can be a first step in a lifelong career as an elementary school teacher. Bachelor’s degrees can be obtained fully online from most colleges and universities. Making sure to find an accredited program is necessary in Elementary Education if you desire a teacher’s license upon graduation. Interested in earning a Bachelor's Degree in Elementary Education? A Bachelor’s degree in Library Science is available through numerous colleges and universities. Classes can take between three and five years to complete with a full time class load. Some classes that may be required include "Library Administration", "Information Services and Sources", and "Introduction to Librarianship". Many colleges offer these types of classes both online and on campus in some part. Read about what it takes to earn a Library Science Bachelor's Degree. A Bachelor’s degree in Secondary Education can lead to a fulfilling career as a secondary education teacher in a specific subject or grade level. Assuming you have a high school diploma and have been accepted into an accredited Bachelor’s program, financial aid is available for both online and face to face classes. Get more information on earning a Bachelor's Degree in Secondary Education. See details on getting a Bachelor's Degree in Special Education. A Bachelor’s Degree in Special Education can be earned online or in person, as long as the institution is accredited. Since Special Education Degrees typically lead to teacher certification, student teaching will likely be required for this type of degree. Most colleges and universities offer candidates the opportunity to specialize in an area of Special Education. Elementary Education refers to the grade levels between Kindergarten and fifth grade (eighth grade for some areas) in which a teacher typically teaches all subject areas to students of a certain age/grade range. Elementary Education degrees typically lead to teaching jobs in the lower age groups in which students learn basic skills in preparation for higher level thinking at upper grade levels. Some specializations such as music, art, physical education, and special education are also found at the elementary level. Visit our Elementary School Teacher Career Page to learn more about this career. Secondary Education degrees typically lead to a teaching certificate for grades six through twelve. This also usually means a specialization in one or two specific subject areas. Secondary Education degree holders are usually at middle, junior, or high schools in the public or private settings. Many specializations exist at this level including core subject areas, electives, and as coaches. A secondary teacher is likely to teach one topic to numerous classes each day, while an elementary educator will teach numerous topics to a single class. Many with a degree in Secondary Education go on to becoming High School Teachers or Middle School Teachers. Click on the links to learn more about those career pathways. Reading and Literacy is a form of education and topic that is necessary from preschool to senior year and beyond. In the early years, reading and literacy is about building skills to help young children learn to read and begin comprehension. As students age, higher level analytical skills are taught and enhanced. In the last few school years, students are exposed to different types of literature to use with research in the college years. Reading and Literacy can also be a specialization used to help struggling readers enhance skills over time. A Reading Specialist degree is at minimum a Master's level degree. ELL or ESL teachers are one of the most in demand form of teachers at this time. English Language Learner teachers work with non-native English speaking students to help them learn the basics of English reading, writing, and speaking while helping them be successful in the school system. This may include translating documents for parents and being a go-between with teachers until English reaches an acceptable level. Read more about a career in teaching ESL (English as a Second Language). Gaining all or part of a Bachelor's degree online can be a time saving option for students who wish to continue working or caring for a family while furthering their education. Make sure any program that is chosen is fully accredited to complete an education degree. Even online programs may require observation hours and student teaching over the course of the degree. As more and more students choose the online degree route, it seems one of the biggest appeals is the flexible time schedule. This is especially important for students who have to maintain jobs and family responsibilities. While working on an online Bachelor's Degree in Education, you will have the option to complete your work whenever and whenever most convenient - whether that is late at night at a coffee shop or early in the morning before getting the kids ready for school. This route does not require students to re-organize their lives. Online degree options omit the fear of not being able to attend class because of work or family obligations. With online schooling, students will be able to choose from a wide range of Bachelor's Degree in Education programs. This is because degree candidates will not be limited to schools close in range. Physical attendance is not a norm for online degree programs, so a student will not have to worry about commuting or relocating. Online education also makes schooling easier for students with physical disabilities. Essentially, two basic things are required for an online education - a reliable computer and steady internet connection. Many students have even reported that online courses are easier to concentrate in because there are no distractions caused by other students and classroom activity. Online degree routes may be more cost effective, especially if you factor in the housing, commuting, parking, and meal costs of a traditional brick and mortar program. The online degree route may also make more sense to a student who needs to maintain or pursue a source of income. Since these programs offer a flexible schedule, students will be able to fit in their studies before or after work. Here we present some information about the University of Michigan, a school that offers a Bachelor's Degree program in Education. This information includes the program overview, required courses, admission requirements, and tuition. Program Overview: The goal of this Bachelor's of Education for this program is to create teachers that will make a positive difference in the lives of all of their students. Required Courses: Required courses will vary based on whether a candidate chooses to attend secondary education classes with a specialty or an elementary education program. Both programs will require basic general studies classes as required for all Bachelor's degrees. Admission Requirements: Proof of graduation from high school with official transcripts are required of all students. Letters of recommendation (3), a resume, and a personal statement are also required. Specific admission requirements for education programs may also b required. Tuition: Full time resident students can expect to pay about $7,500 per semester, while non-resident students will pay about $22,000 per semester for the education program. Those who earn a Bachelor's Degree in Education often become teachers. Teachers assist children of all ages to learn and understand various subjects along with building critical thinking skills. Students who are in a Bachelor's in Education program often learn about the theories and practices associated with teaching and learning. Preservice teachers will also learn about lesson design and practice in a classroom through student teaching programs. Earning a Bachelor's Degree in Education can be a financial burden on those who do not have help. Students who are studying Education should be aware of all the wonderful grants and scholarships available to them. More importantly, these students should take advantage of what is being offered to them! The following scholarships are just a few of the numerous scholarships available to Education Degree students. The CKSF scholarship does not require an application or GPA requirements. Rather, the scholarship competition involves one or more quizzes with topics ranging from common knowledge to other specific subjects. Applicants will be required to take the quiz in order to potentially win scholarships. The award amounts range from $250 to $2,500. The National Council of Teachers of Mathematics offers many scholarships, grants, and awards to those studying to teach math. NCTM's goal is to improve the overall quality of math in our schools. One of the ways they propose to do that is by encouraging to connect math to other subject areas - thus strengthening deep conceptual understand and conveying the importance and practicality of mathematics. You can learn about more about the Scholarships and Grants that are available to you by clicking on the link. Earning a Bachelor's Degree in Education will open up many career opportunities to you. At this point, you may have learned that the general field of Education can be broken down into many areas of specialty (Elementary Education, Secondary Education - which usually includes middle school and school, ELL, Special Education, and more). Usually, each area of specialty requires specific teaching credentials/certification. Teaching credentials are attained after an individual earns a degree, completes a Teacher Preparation Program, passes specified exams, and meets other state specific requirements. Each area of specialty also require and individual to take subject-specific courses. Depending on your specialty area, below are some possible careers you may be able to pursue with a Bachelor's Degree in Education. A high school English teacher will be responsible for introducing students to different forms of literature while enhancing writing skills both academically and creatively. A high school English teacher can have an average salary of $40 to 70,000 yearly, which may increase depending on area and experience. High school English teachers will only teach grades 9-12 and have an average job growth rate over the next few years. Read more on becoming an English Teacher. English as a Second Language teachers can work at any grade and age level within the school system. These individuals may split their time between one or more schools as needed in an area. ESL teachers have a higher than average growth rate at this time. These teachers are responsible for teaching English to students who may have little to no spoken or written English ability. ESL teachers may also be go-betweens for students, other teachers, and parents if a language barrier exists. An elementary education teacher is certified to teach grades K-5 in most cases. This type of teacher will teach every subject to a single grade level in most cases. Teachers will have the same group of children for a full school day, other than elective periods. Elementary education jobs are expected to grow at an average rate over the next few years with the average salary being between $40,000 - $70,000 yearly depending on area. Click on the link to learn more about a career as an Elementary School Teacher. A music teacher is typically certified for all grade levels. This is a specialty class that is taught in most schools to all grade and age levels. However, a single music teacher usually serves in either primary or secondary settings with little cross over. The music teacher area is showing a slower than average job growth, but offers a salary comparable to that of a core area teacher. Music teachers will often have multiple grade and age levels during a day with different standards to be met at each level. A music teacher may also teach at upper levels as a band or choir director. Read more about this career by visiting our career page on Music Teachers.